Not only is the bluefin’s dense, distinctly beefy musculature supremely appropriate for traversing the ocean’s breadth, but the animal also has attributes that make its evolutionary appearance seem almost deus ex machina, or rather machina ex deo — a machine from God. How else could a fish develop a sextantlike “pineal window” in the top of its head that scientists say enables it to navigate over thousands of miles? How else could a fish develop a propulsion system whereby a whip-thin crescent tail vibrates at fantastic speeds, shooting the bluefin forward at speeds that can reach 40 miles an hour? And how else would a fish appear within a mostly coldblooded phylum that can use its metabolic heat to raise its body temperature far above that of the surrounding water, allowing it to traverse the frigid seas of the subarctic? This may be as pretentious as it is confusing. And the two qualities may be inseparable here. Take the most pretentious moment of all, the recourse to Latin and the variation on the literary phrase “deus ex machina.” Greenberg here first requires us to see the bluefin as a stage god of papier mache, brought up through the trap door or riser (the “machina”) on to the evolutionary stage. The fish is a piece of stagecraft, a device, the artifice of a Poet or Maker, I suppose, who writes the great drama of evolution. Here and elsewhere, Greenberg flirts with, but never really strikes, a compromise position between evolution and – I won’t call it Creationism, but I will call it Deism. Horace, who coined the phrase “deus ex machina” in his Ars Poetica, considered the mechanical delivery of the god on stage a clumsy way to resolve plot conflicts, and advised strongly against it; but I suppose we are not meant to take the Latin that far, or that seriously. We, too, are supposed to pretend, or at least feel smug and assured. So it wouldn’t do, I suppose, to ask what conflict or entanglement is resolved by the evolutionary appearance of the bluefin. Besides, Greenberg himself isn’t comfortable with the phrase, as his next move reveals: the bluefin tuna doesn’t just seem like a plot device, or a god brought on stage by the Maker of evolution; the fish also seems “a machine from God.” Whether “machina ex deo” is really the most elegant way to express this in Latin I leave for others to discuss, but I will note that the “ex” with the ablative “deo” here feels like a clunky way to express the idea of the bluefin as God’s machine, almost medieval, or like late Latin at best: it just feels a little too mechanical. (Of course that has not deterred scholars from using the phrase in books about technology; we even have Joan Rothschild’s Machina Ex Dea, an anthology that purports to offer “feminist perspectives on technology.”) Apparently, Greenberg and his editors at the Times did not fuss too much over the Latin, and could not resist the allure of the reversal here. But what does it mean? What could it mean? The Neoplatonic philosopher Plotinus conceived of a “creatio ex deo”. Creation, in this view, is an emanation from God, or “the One.” The emanation is simply (not merely, but simply) a consequence of the transcendent One. Plotinus asks us to consider the sun, which is not diminished by its rays. The created universe shines forth from Divine Nous, which Christian writers would identify with the Logos or the Word of John’s gospel. God in this conception is not the Aristotelian prime mover, creating the universe and all living things “ex nihilo,” out of nothing; presence itself, The One, is in no way affected or diminished or changed by the emanation of or from its presence. We recognize the transcendent One when we recognize the Good or the Beautiful in the world, and from there, as in Platonic thought, move to contemplate the Forms. Now you can easily see how this Neoplatonic view – a view of the creation as an emanation of God, the beauty of which leads us to the Creator – could inform what I am calling Greenberg’s Deism. We can come to know God, the Transcendent One, by watching the bluefin run. But this isn’t exactly Greenberg’s point of view – or at least it’s not the point of view his language allows. Instead, he wants to see God as a great engineer, a maker of machines; he has converted creatures to machines. This idea of the world as a big clockworks, and all the creatures as instruments in that elaborate work, has been around since the 17th century. For Descartes, animals are automata and their bodies are machines, a complex set of moving parts, which can be replaced by pistons, drivers, rods, chips, apps, and so on. This cold and cruel view is part of the great philosophical heritage of the fish farm that Greenberg visits in Hawaii, where the idea is to engineer a better sushi fish, so that the bluefin can be left to run wild – or so that we can still eat sushi after the bluefin go extinct. Man assumes the role of maker, or helpmate, to God; the exercise of dominion over the created world, entrusted to man by the God of Genesis, is really a bit like running a machine shop or an industrial plant. Without a full appreciation for life, and for all that sustains life, all the many relationships and little connections that sustain the lives of creatures and our own lives, and allow the life of one place – the sea, the forest, a farm – to be unique and truly marvelous, the idea of “wild life” is never really going to have much grab. And the only things we will find really marvelous will be the machines of our own making, or, even worse, our ability to make and remake them. 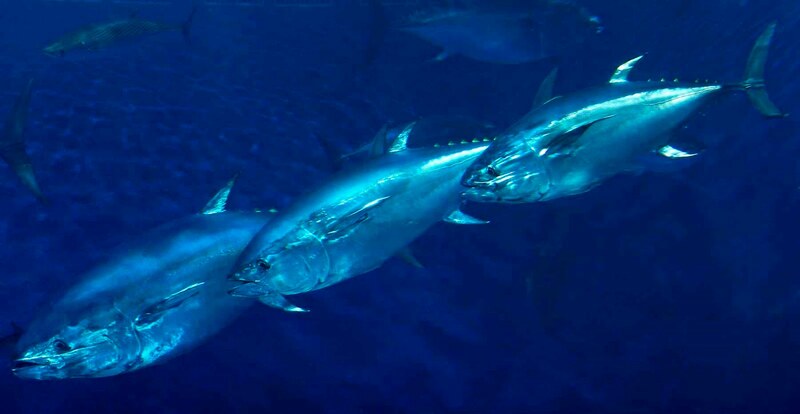 This entry was posted in Louis V. Galdieri's Blog and tagged bluefin tuna, conservation, Deism, Descartes, deus ex machina, Greenpeace, Horace, mechanism, New York Times, Paul Greenberg, sustainable fishing, tuna, Wendell Berry, wildlife on June 30, 2010 by lvgaldieri.